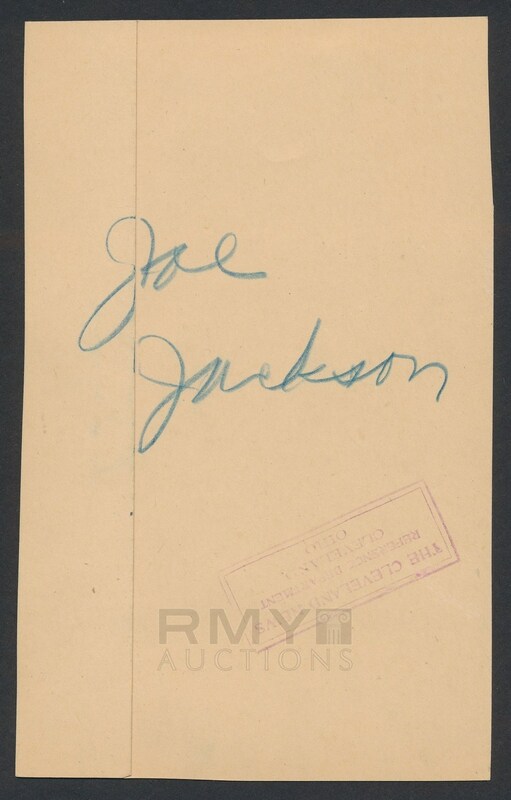 Lot # 8: 1910 Shoeless Joe Jackson, "Welcome to Cleveland" New Baseball Star Takes a Bow! 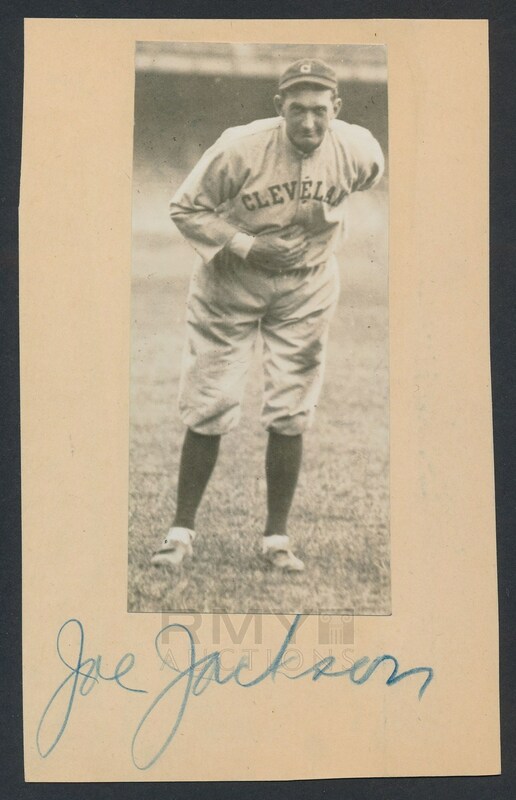 Original c. 1910 silver gelatin photograph of young star of the Cleveland Indians, Shoeless Joe Jackson as he takes a bow to the photographer in full uniform. While we will never know the context of the image, it is certainly one that we have never seen before and as far as well know, this is a unique new discovery that is being offered here for the first time ever! The photo itself measures 2.75x6 and is completely original to about 1910 but because early photography was fragile, the Cleveland Plain Dealer would mount their smaller images to manila paper for sturdy news-room use. There is no doubt that if this is removed from the mount (an easy process) this will reveal stamps or period notes from the photographer and we guarantee this image to be a completely vintage image from the 1910's!